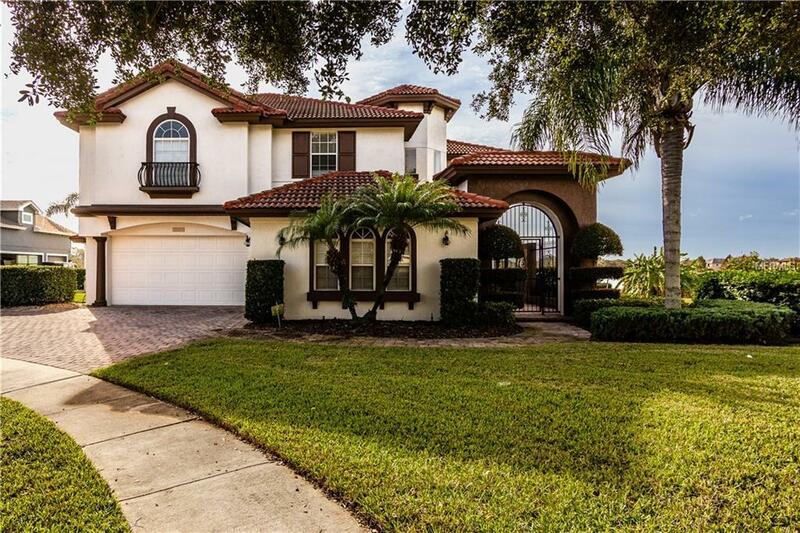 This Immaculate 5BR/5BA custom Mediterranean style home has everything! Located on spring-fed Little Lake Sawyer. Home is located on a quiet cul-de-sac. Home has tile in the main living area. The kitchen is well appointed with stainless appliances, a large Island and walk in pantry. There is also a wine cabinet under the stairs. You will love the open floor plan and gorgeous lake views. This home has it all! Downstairs you will find a bedroom and two bonus rooms, upstairs is the master suite and three other bedrooms. Enjoy entertaining on your lanai with your summer kitchen, or hanging on the covered boat dock while watching Disney fireworks. Home is zoned for Windermere High School.